Get your copy of Beyond Priscilla: one gay man, one gay truck, one big idea… now, published through Clouds of Magellan (cloudsofmagellanpress.net). 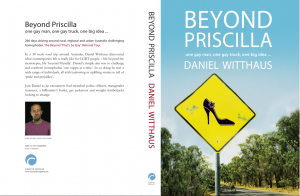 Paperback copies are now available, signed through Daniel (daniel@thatssogay.com.au or Daniel Witthaus on Facebook), and unsigned, through LGBTI Bookshop Hares & Hyenas (www.hares-hyenas.com.au/beyondpriscilla) and print on demand: Amazon, Book Depository and Barnes & Noble. Stay tuned for details of all other good bookshops. Already Daniel has sent signed copies to rural Japan and Ireland! 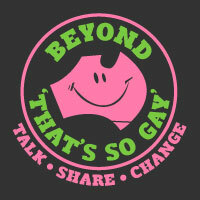 Contact Daniel for any opportunities to read and share stories of everyday LGBTI life in regional, rural and remote Australia. This entry was posted in Uncategorized on February 11, 2014 by Dan.